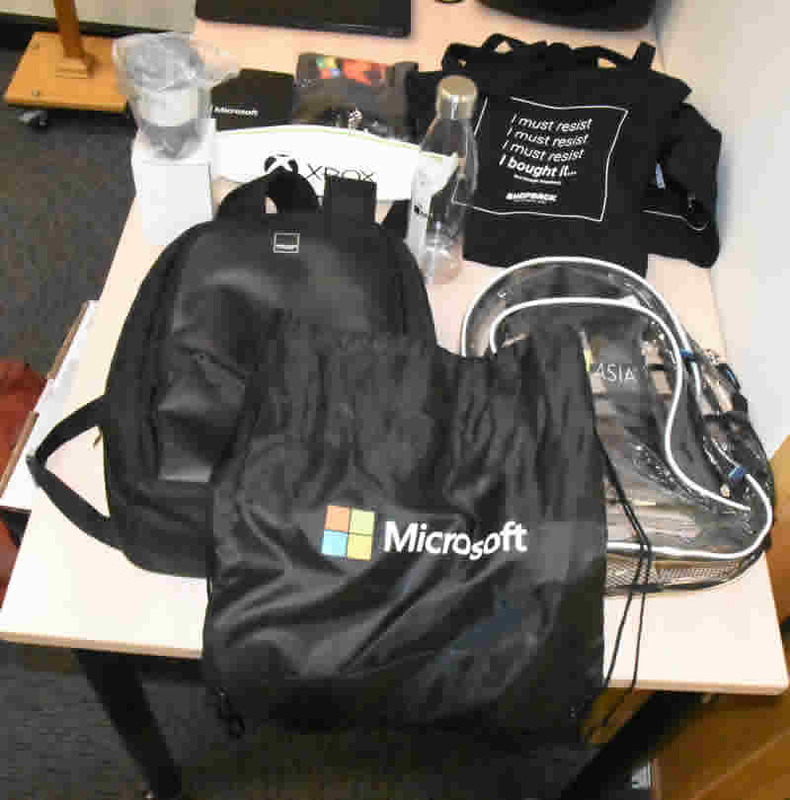 This month we had a visit from Shopback and our friends from the Microsoft store. First up was Angus Muffet from Shopback. I think most people like a bargain, but how would you like to be paid for shopping? Well Angus was on-hand to explain. 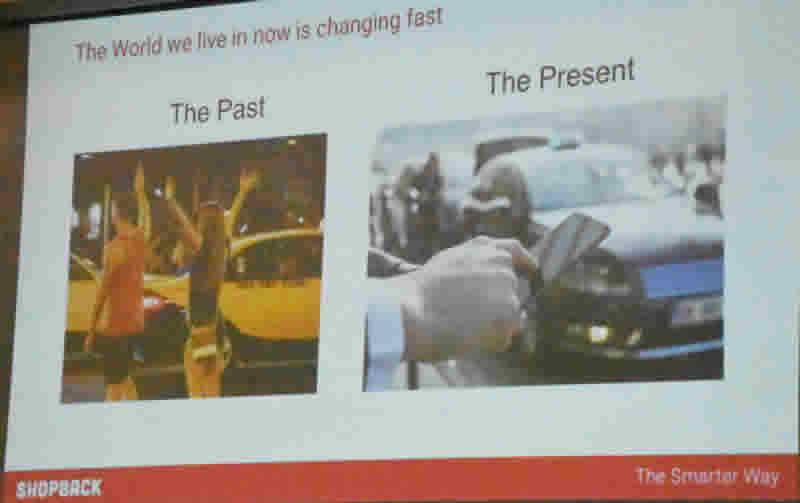 He started with a discussion on how our retail and service industries are changing, like hiring a taxi online rather than hailing one on the street. Or buying online rather than going to a store. Then there’s the take-away. 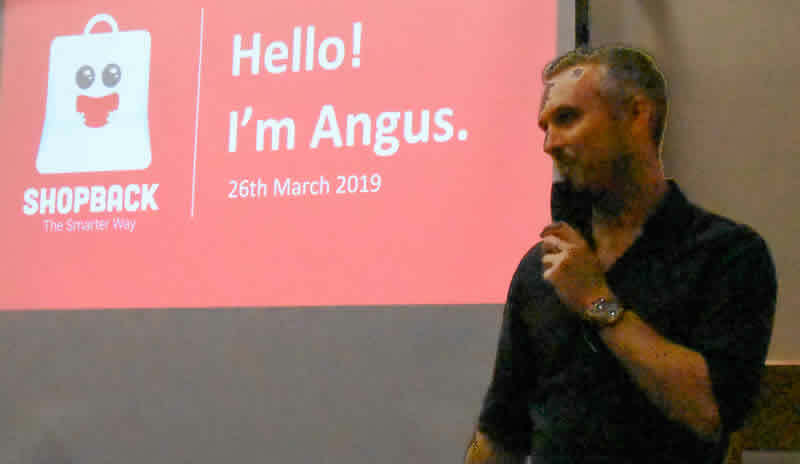 Angus spoke of a conversation with the CEO of MenuLogo one of the new online food delivery services. 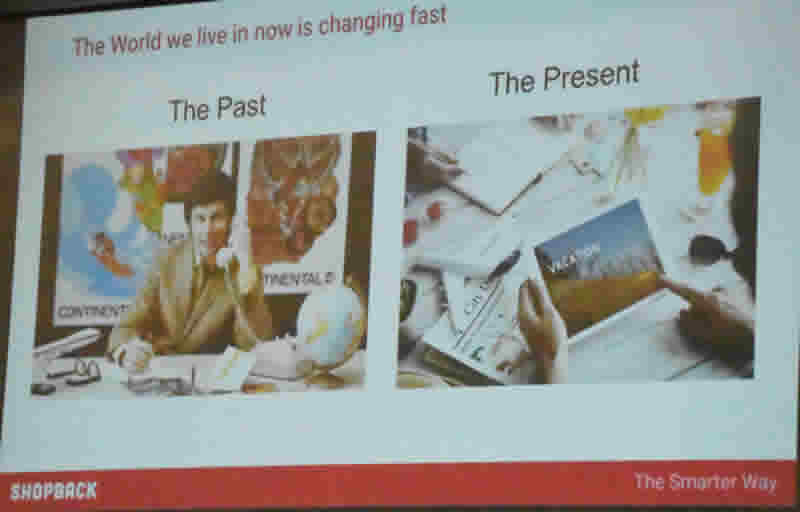 He said there was a great scope for growth in food delivery as 70% of take-away is ordered over the phone. 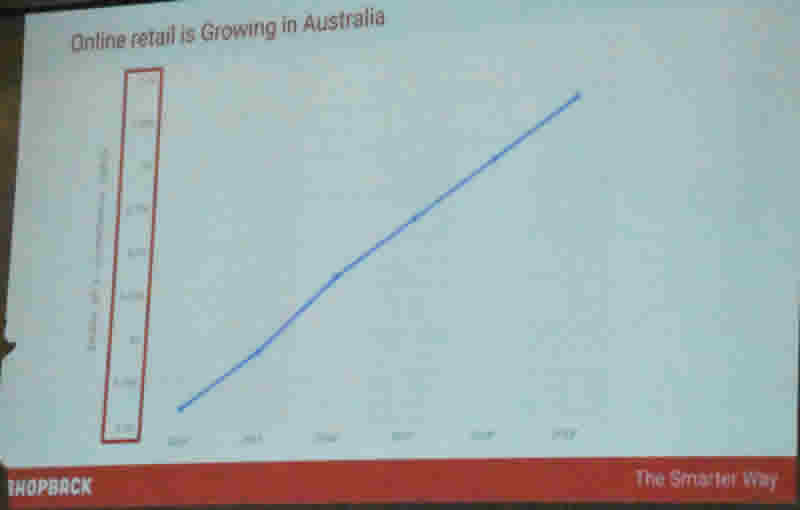 Online purchases have been slowly rising and are now around 7% of sales in Australia. So what problem is Shopback solving? Angus used the example of purchasing a laptop. There is so much choice. Do you go to the manufacturer’s site, do you shop online, or at a store were you can see the produce and talk to someone who hopefully knows the product? So here are the questions most people ask themselves. Is this a good deal, can this online shop be trusted, and is this the best time to buy? That’s where Shopback comes in. Shopback does the negotiations for you. World-wide, the people at Shopback hunt out the best discounts and also negotiate a cash back on your purchase. As an example, Angus mentioned Woolworths online, who always have great sales, but if you use Shopback you would get 2.5% back as cash. 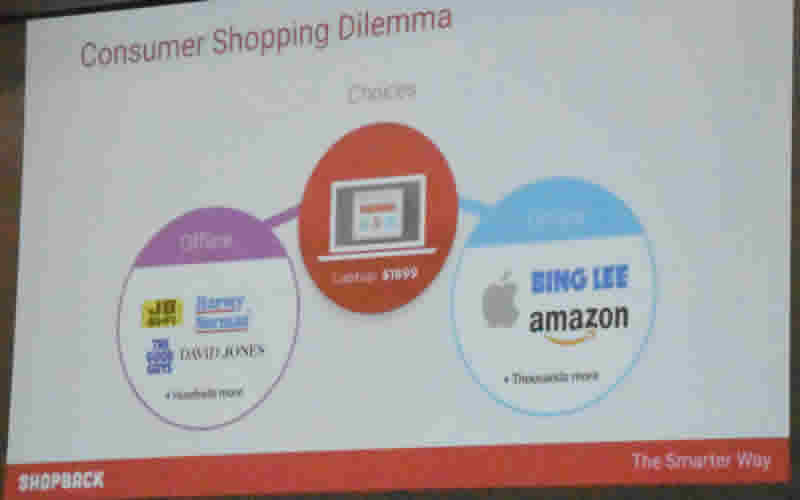 To be on Shopback you need to be a big brand and be able to deliver what the customer order. There are some ethical considerations, it’s not unusual to see Midnight madness sales. The reason is people with a “few lemonades” on board tend to shop to excess. Angus mentioned that in the US there’s a 40-billion-dollar market of people who shop while drunk, so no midnight madness. One of the other questions Angus asked was “when to buy?” Do I wait for the big sale? The EOFY and the US sales of Black Friday and Cyber Monday and how do I find the best deals in these sales. What Shopback does is to group the best of the sales offers on their site so you can compare offers and you will see how much the retailer will give you back in cash. 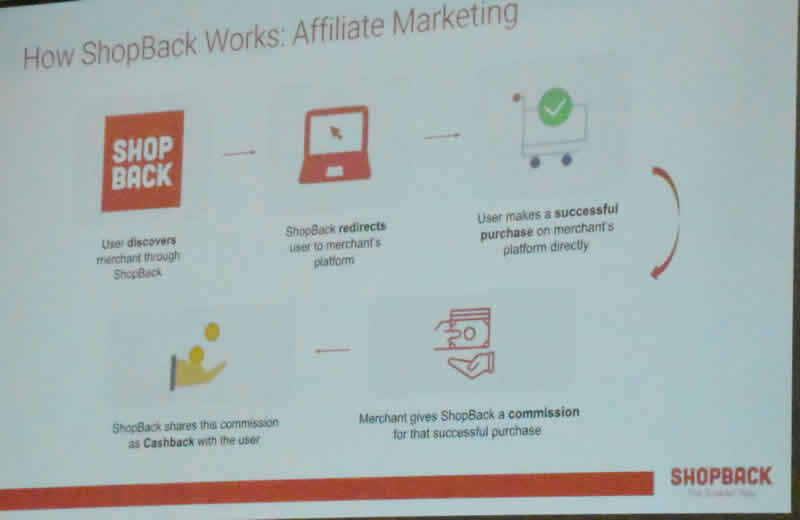 In a nutshell, the retailer joins Shopback, which becomes an affiliate of the retailer. On completion of a purchase the retailer pays a commission to Shopback for re-directing you to the retailer. You then receive part of that commission as a cash back. We then had a look at a video on the use of the site. There were a few questions on how the site worked. If you use the Chrome browser Shopback have an extension. If you’re searching for a product, say a vacuum cleaner from Myers, and a cash back is available, it pops up to tell you what’s available. So, you don’t need to be in the Shopback site. If you use the extension you get a notice that a Shopback discount is available. Angus noted that if you miss the popup you don’t get the credit. Shopback doesn’t follow you around the internet. What happens is the store notes you purchased the item using Shopback and once the purchase is complete the store pays its commission to Shopback who then pays you the cash discount. 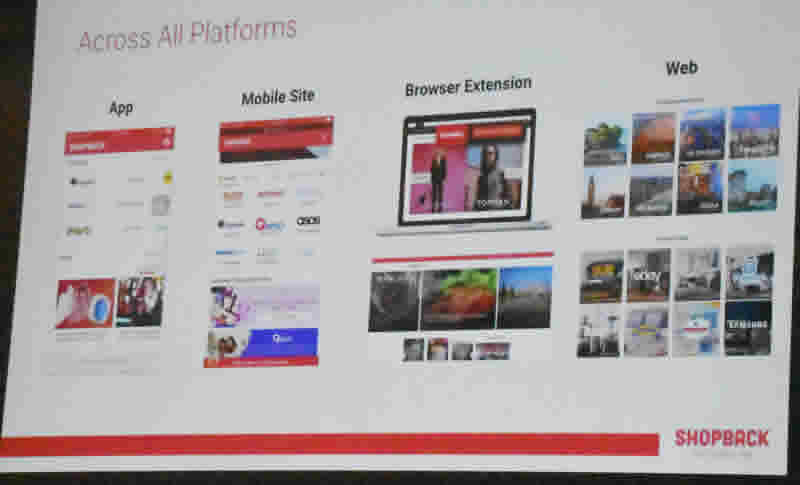 Another question was what about fake sites? Angus noted that the one way would be to use the extension, that way you know it’s definily Shopback. 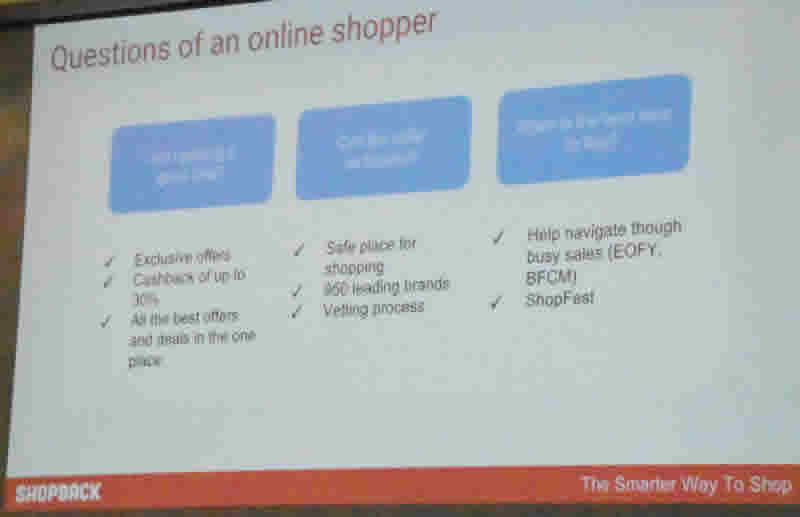 We then looked at the ways you can access Shopback. There’s a web site a mobile web site, an android app, and the Chrome extension noted above. Angus then took us through the history of Shopback which started at zero. 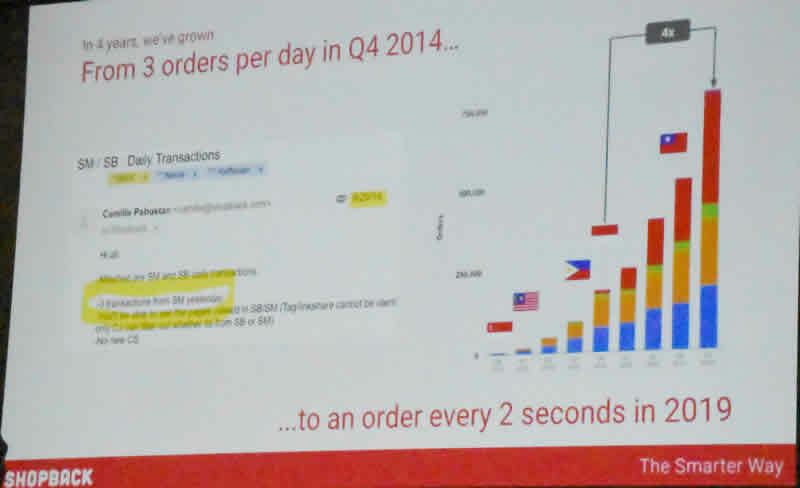 In December 2014 they go their first 3 transactions, now they get around one every two seconds. 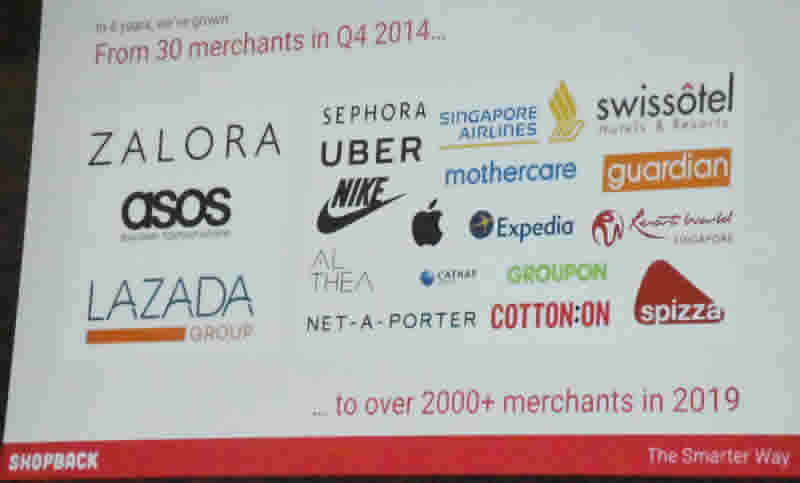 They have gone from 30 merchants to over 2000 in 2019. Shopback is in seven countries around Asia, having been founded in Singapore. 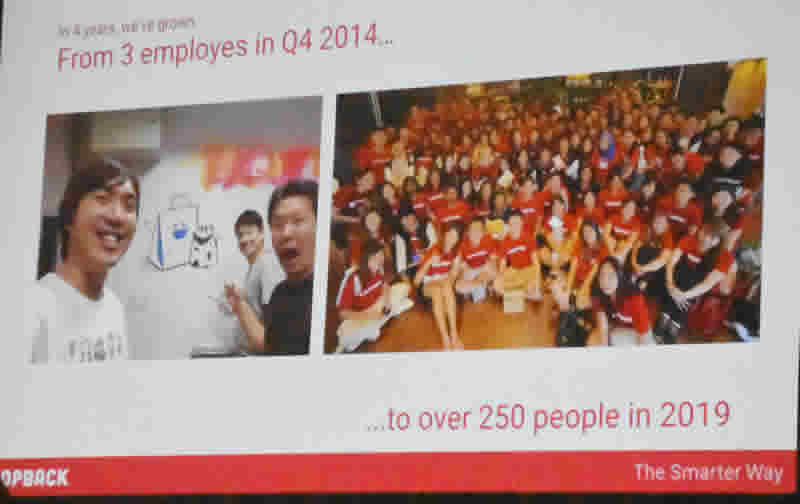 They have gone from three founders in 2014, to around 250 employees in 2019. The founders were working for another company and found it hard get customers and advertising on the web was expensive so Shopback was born. 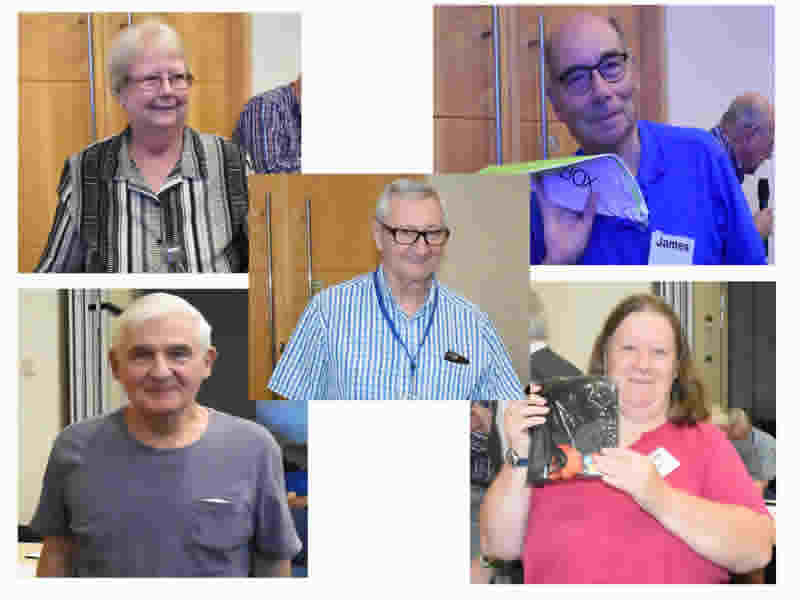 On another question from the group Angus noted that Shopback Australia is a private company and while its main office is in Singapore, Shopback Australia is run through Australian banks with tax paid to Australia and the cash back paid to customer accounts. It can be paid to your PayPal account or any bank account. Shopback will be celebrating its first birthday in Australia in April. In their first eleven months they gained over three hundred thousand users and had two hundred and forty thousand downloads of their app. 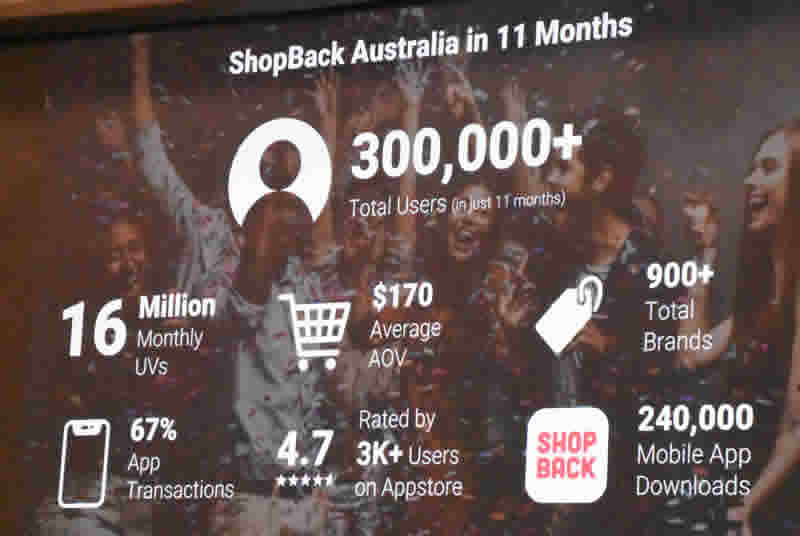 Shopback now has over nine hundred brand and most people spend and average of $170 per visit. If you’re a member of the club Angus offered a discount if we join, see our newsletter for details. In mid-April to celebrate they will have a seven-day sale with all kinds of discounts available over that week. 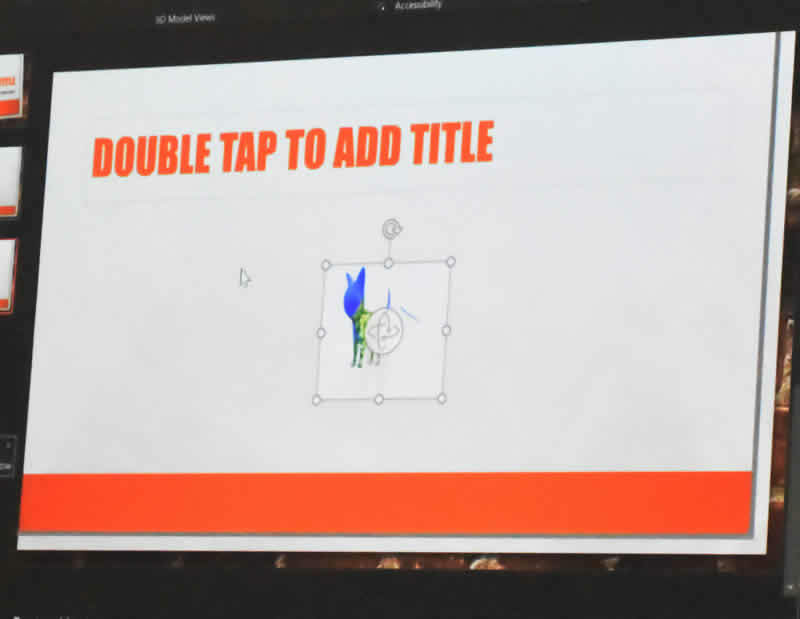 After the break the Microsoft Store were back to give us an in-depth look at the latest innovations in PowerPoint 2019. Our old friend Matt Ranocchiari, along with Clara and David and the gang, showed up to for a great session on creating a very different type of PowerPoint presentation. David started with a look at design. 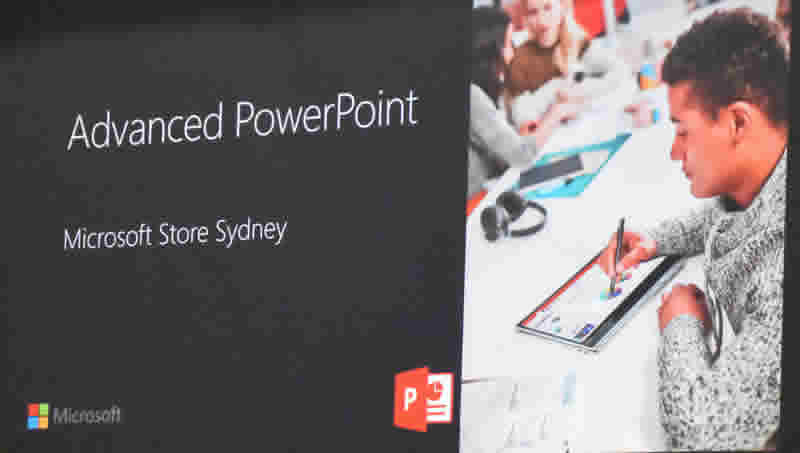 When you open PowerPoint you can have a blank page or select a design style that suits your needs. 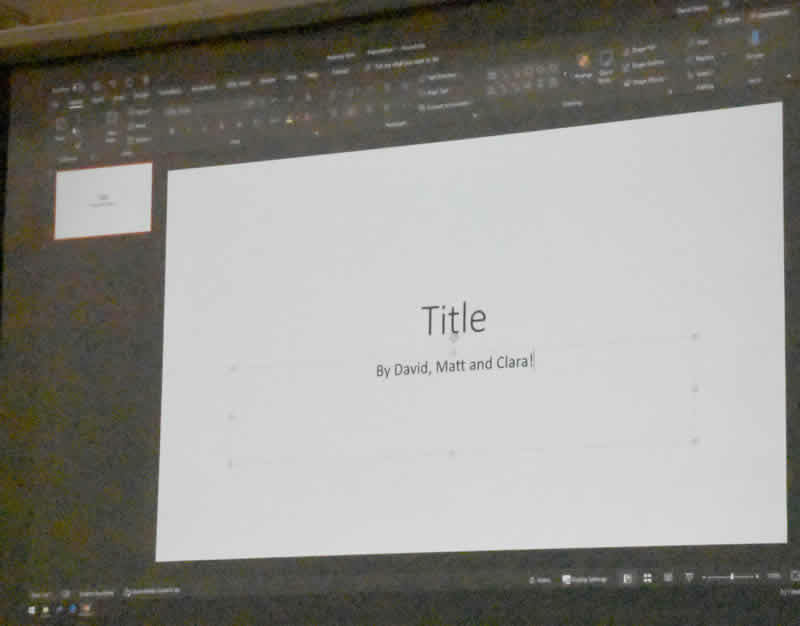 David started to build the presentation with the usual Title and subtitle template created a title page presented by Mat, Clara, and David. He then directed our attention to the design tag on the ribbon which opens up a whole range of predesigned themes and layouts. 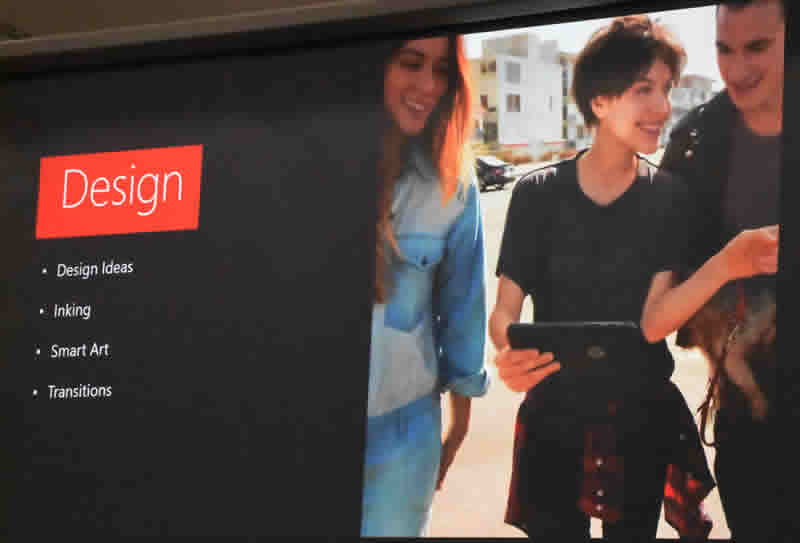 We then moved on to look at one of the new options available for Office 365 and Office 2019 users who have a touch screen. Under Draw on the ribbon we find inking. If you need to you can add inking to the Quick access toolbar under options. The main feature Matt discussed was “Ink to shape” which allows you to draw shapes with your pen which then convert to accurate geometric shapes. 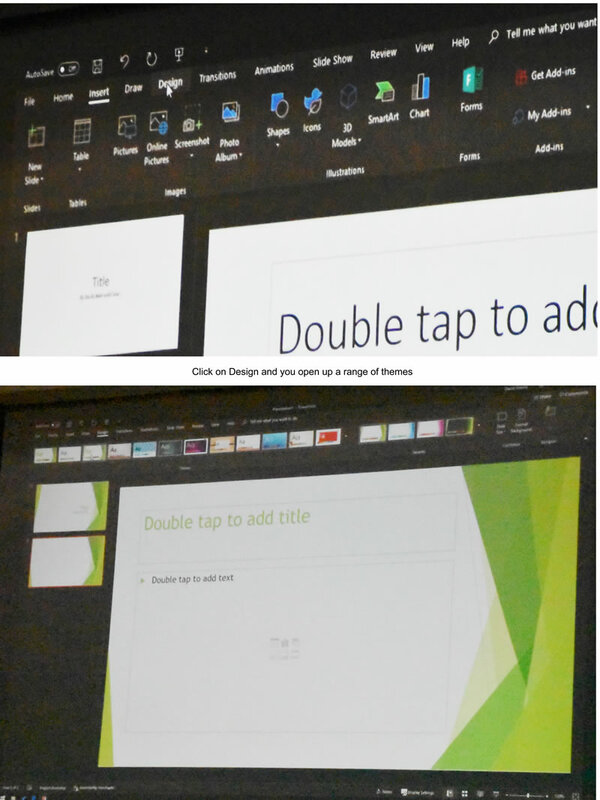 It was noted that inking works across Office so you can use it in Word, OneNote, Publisher etc. Also the gang noted that if you have an Android or iPad under 10 inches you can get a full Office suite for free. e briefly covered transitions. 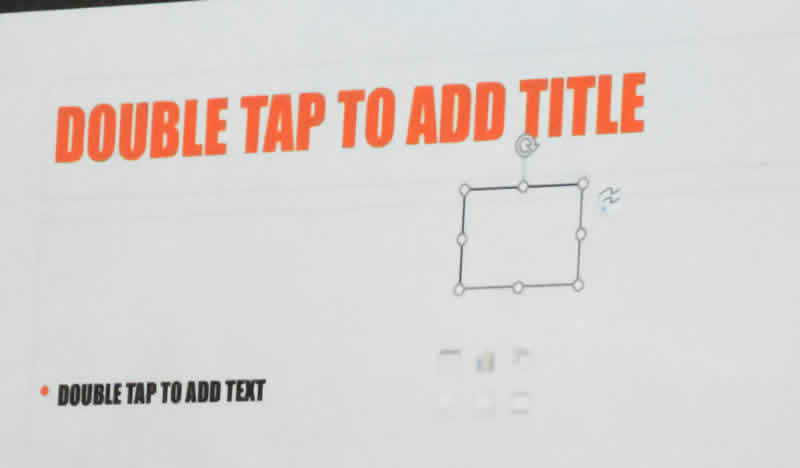 They are a great way to move from one slide to another. You can morph, slide or fade just to mention three. Now we got to 3D. The ideal of adding a three-dimensional figure to PowerPoint is intriguing. Its like having the photo of your home suddenly come to life. Shades of a Harry Potter wizard photo. Matt took the floor to show us how its done. There are a number of processes. 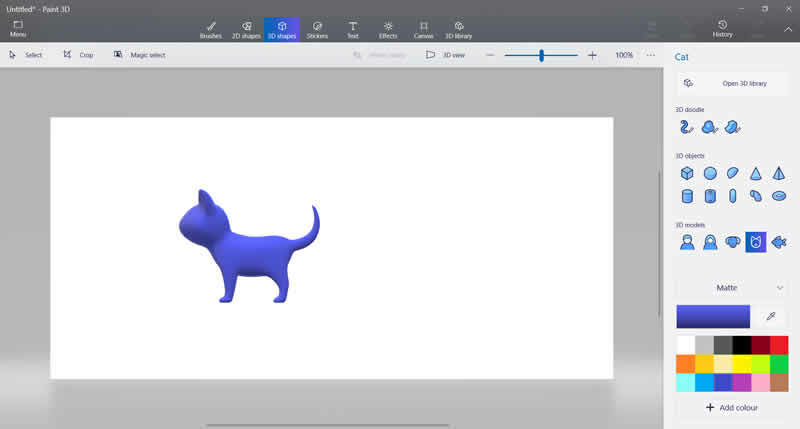 He started off with Paint 3D which is a free app with Windows 10. As Matt pointed out with Paint 3D and cheap 3D printer anyone can now make models. 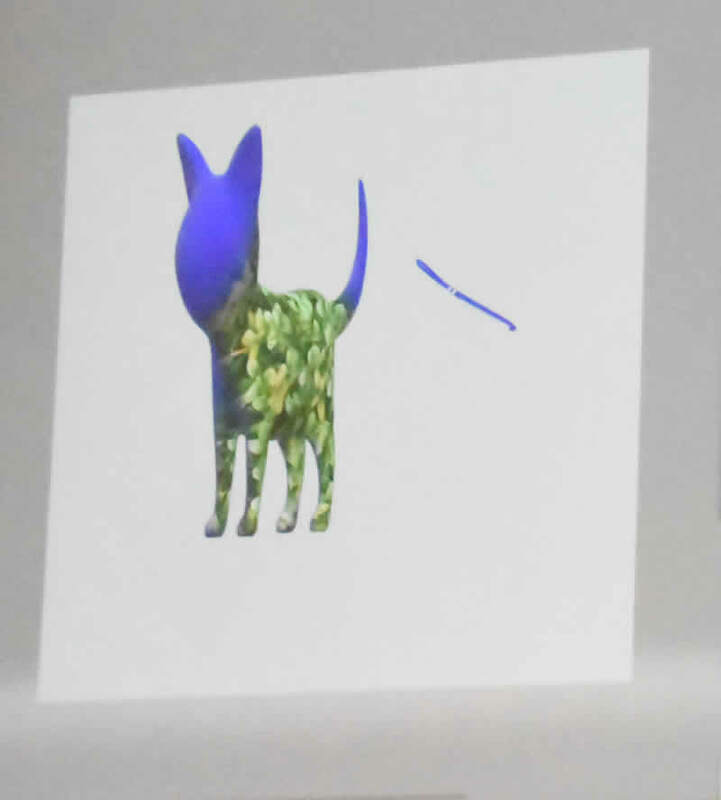 He found a 3D cat and edited it. Then added some rendering, here we see the cat now has green tree camouflage. 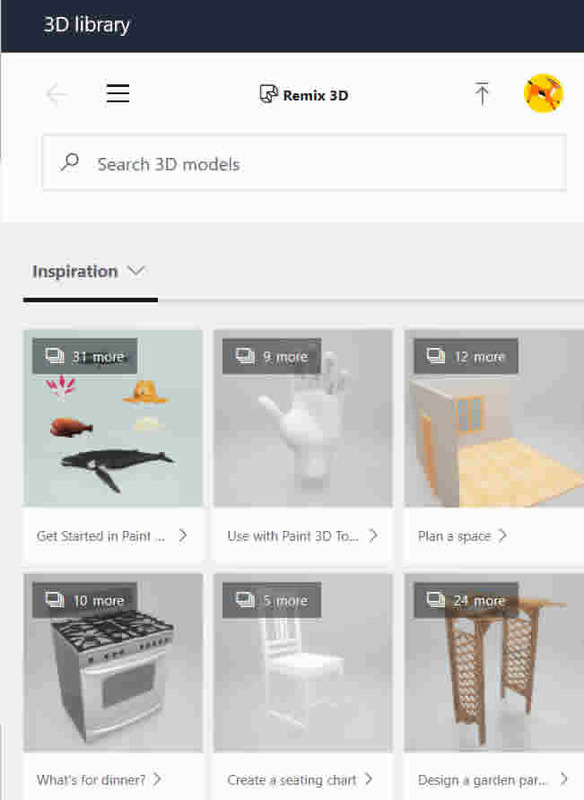 You can find lots of 3D objects online and in Paint 3D you can save your creations to the 3D Library and share them with the world or use those you find. 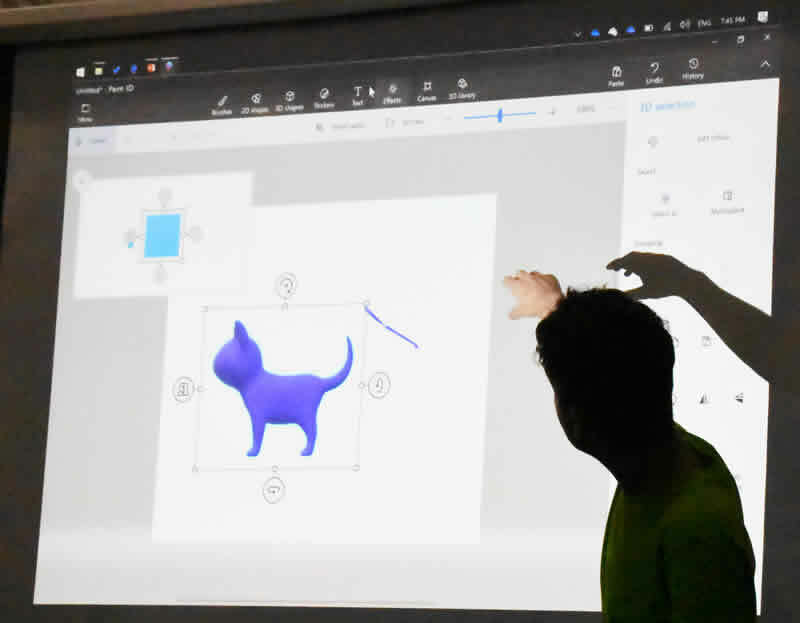 So once they had created the 3D image, we went back to PowerPoint and under the insert menu found 3D models and insert the 3D cat. Matt then added the cat to PowerPoint. 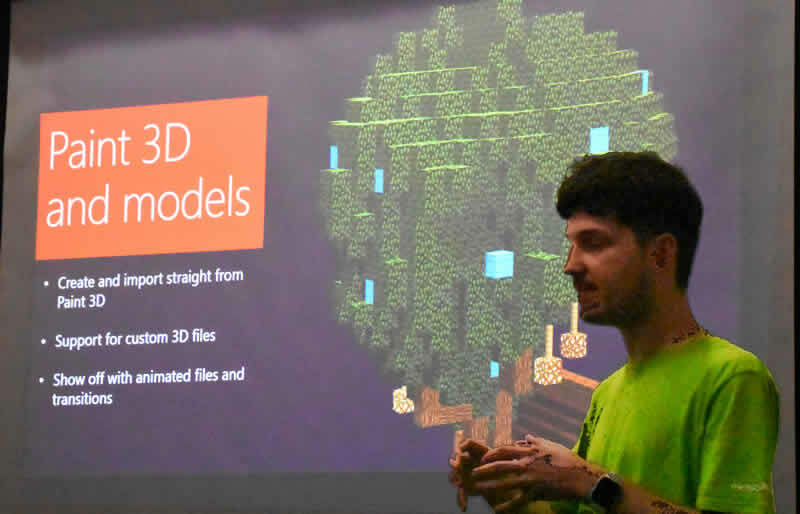 We were then shown how we can add 3D models from the online library and Matt added a dinosaur. 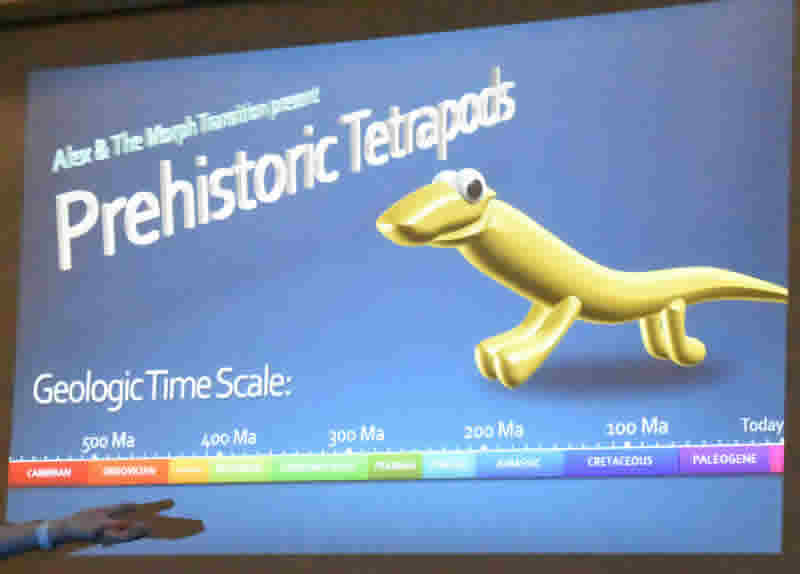 Then the slide was duplicated a number of times and the position of the dinosaur moved both in space and orientation. 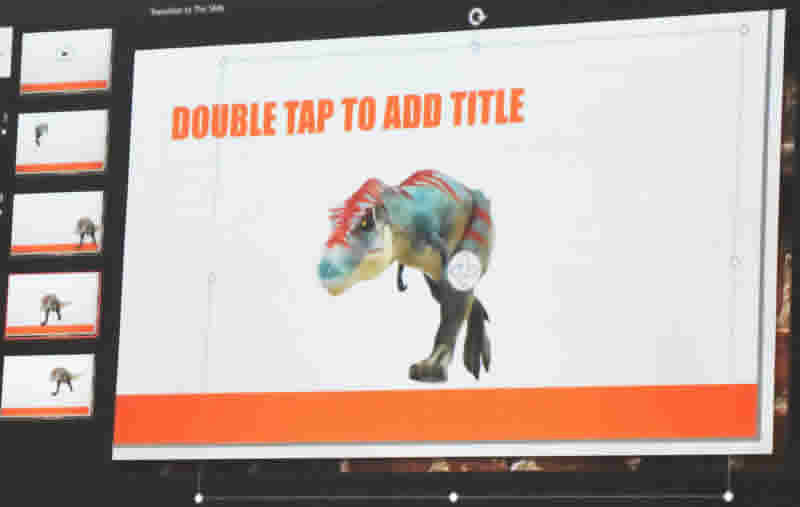 And to make the dinosaur move you go to transitions and David added a morph effect which made the dinosaur walk across the screen. To finish we had a look at one they had prepared earlier on Prehistoric Tetrapods.